My first article discussed how the positive gaming community helped me through a tumultuous period in my life (Click Here to Read it! ), and now I hope to use the next 100 Days to reboot, and celebrate with the release of the Xbox One X! I have challenged myself to carry out a 100 day fitness challenge to get back into fitness and share my journey in a very transparent manner. 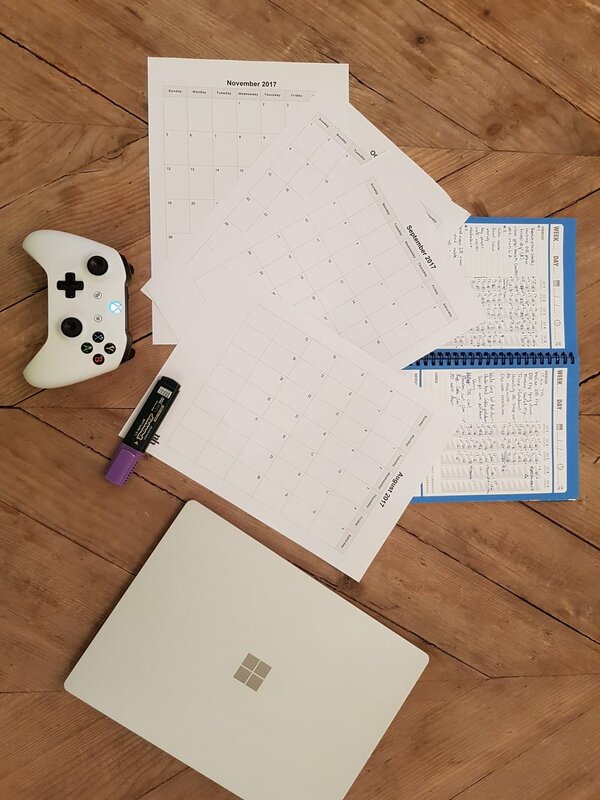 I will be posting a weekly blog on my personal webpage with a summery of my weekly workout and nutritional plans, and show how I tweak them out based on my body feedback. I will post daily snippets on my Instagram, and utilize the discord subchat #gamerstrength to support me. My first weightless journey began back in 2008 and I reached my fitness peak in 2012 just before the medical stuff happened. I hope to open up about the bad parts but since they are still raw from this summer I would like to overcome certain aspects myself before I begin to discuss them. Long before the instant social media feeds took off with twitter and instagrams, my core passion was to reach out to others and motivate them through opening up and sharing my own experiences. Unfortunately when my health came crashing down, I felt obsolete and irrelevant. How could I motivate others if I was in crippling pain and unable to perform simple workouts? I hope to change that now and continue to be honest with myself and my journey. My dream is for me to get back into tennis and have my daughter (she just turned one!) watch her father play one pro match. If I cannot do this medically, I at least want to overcome my ailments to the best of my ability and improve my quality of life. What better way then to go through this with the most positive community in the world and reward yourself with an Xbox One X? I am not after likes and numbers. What I would love is for readers to communicate with me. Comment on feeds and just engage in my content. I want to learn from you and work together. YOU INSPIRE ME. From the ground up, I’m taking you with me. Hope You’ve Enjoyed my Return Post. Thank you so much for taking the time to read this. Let me know what you enjoyed and how I can improve my content. Share your journey with me on any of my feeds and I will be more then happy to cheer through your own challenges. Let me know what you would like to see me tackle in future posts in the comments below!